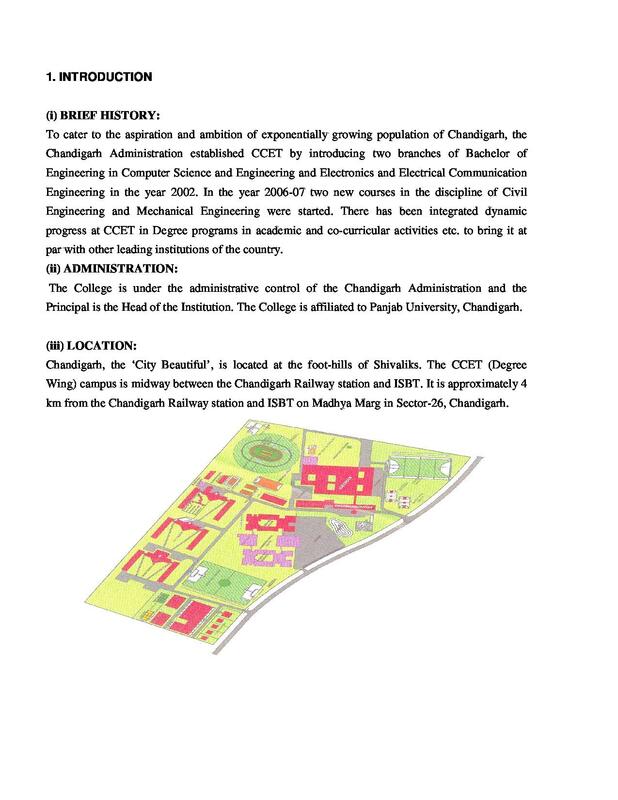 Chandigarh College of Engineering and Technology (CCET), established in the year 2002, it is a private college under the administrative control of the UT Administration, Chandigarh and is affiliated to Panjab University (PU), Chandigarh for its degree courses, approved by AICTE and MHRD, Govt. of India and Punjab State Board of Technical Education for its Diploma courses. 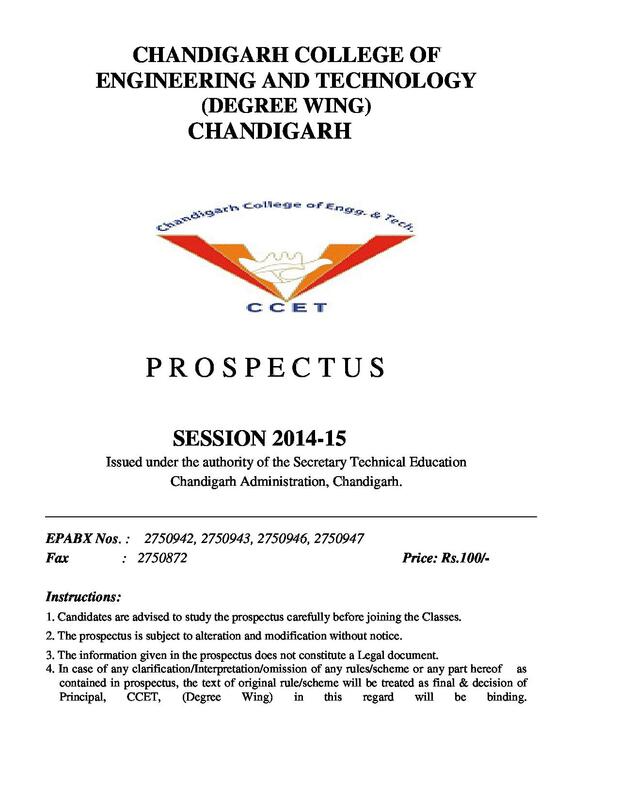 Chandigarh College of Engineering and Technology, Chandigarh (CCET), formerly known as Central Polytechnic Chandigarh (CPC), (which offered Diploma Courses in Engineering). The college campus extends over an area of 46 acres (190,000 m2) of land situated close to Shivalik ranges and Sukhna Lake. 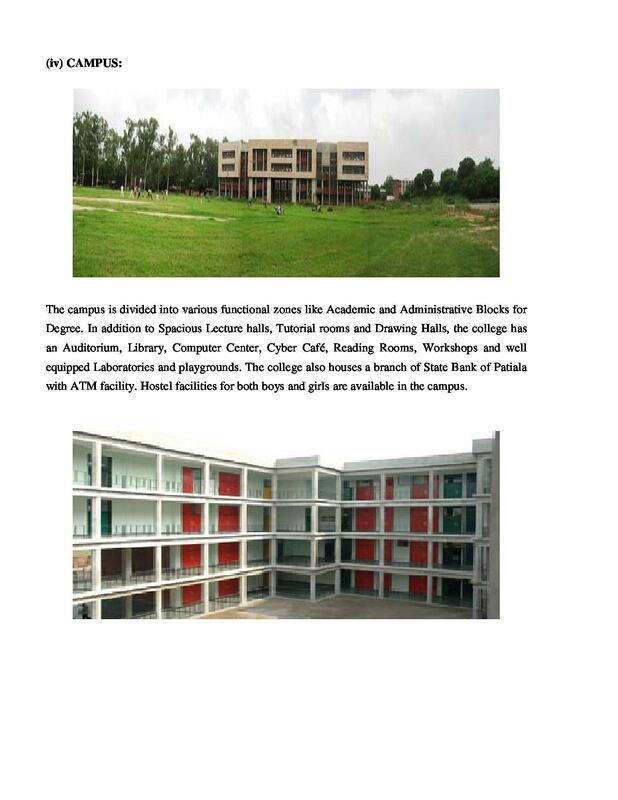 The campus is divided into zones like administration blocks for Degree & Diploma stream, and hostels and residential complex for faculty & staff. 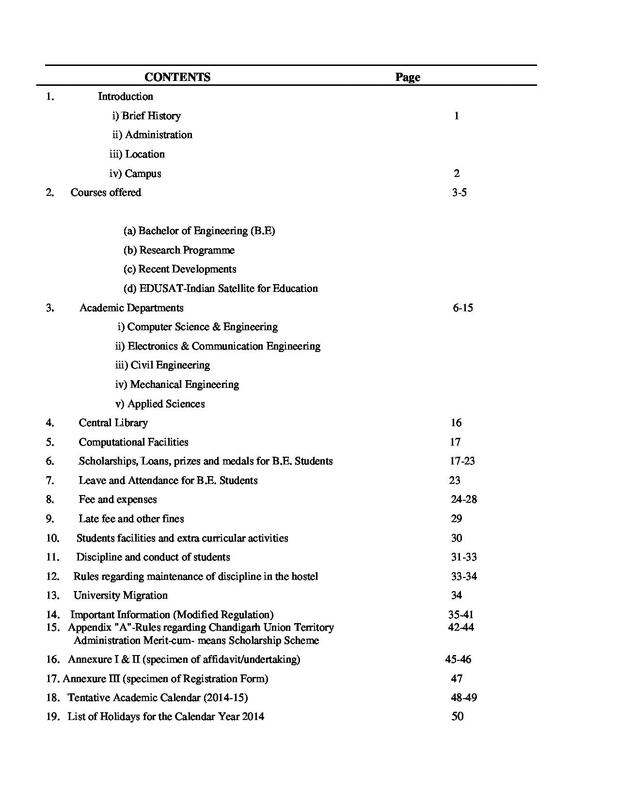 There is Lateral Entry also available to the degree courses direct to the 2nd year of B.Tech in all specializations provided by the college so far through Panjab University Lateral Engineering Entrance Test (PULEET). A valid qualifying score in JEE (MAIN). Placement at CCET are organized and conducted by the Training and Placement Cell with the assistance of students and faculty. Arrangements for pre-placement talks and interactive sessions are made upon request. Some of the prime recruiter of the college which frequently visit the college placement sessions are such as Infosys, IFB, uTrade, Quark, Talwar & Talwar Consultants, SML Isuzu, Myntra, Clicklabs, Punj Lyod, Finxera, Sufi, L&T InfoTech, Dakin, Birla Soft, HCL, Godrej and many more like them. Click CCET Placements to know more in this genre. Library: Institute Library has a well-stocked Library with a collection of approximately 12079 books. Library is using software “ALICE FOR WINDOW.” Library has subscription of 13 newspapers in English, Hindi and Punjabi languages also library subscribed 18 magazines to keep the students and staff updated. Hostels: CCET campus provides hostels for both boys and girls with all home facilities along with table tennis room and badminton courts. Auditorium: CCET’s Auditorium forms an integral part of the college building. It is air-conditioned. IT Club: The IT club is related to everything which is concerning Information and Technology. Compulect Club: The club is for CSE and EECE streams. Activities like Puzzle-O-mania and Scavengers Hunt. IETE (Institute of Electronics and Telecommunication Engineers): It is a student chapter which is actively participating by organizing various programs include Technical Paper Presentation, Declamation, Project Presentation etc. ISTE (Indian Society for Technical Education): It is also a student chapter. The society is providing a sound background to all the students of college in both fields (Technical & Cultural). It is the National Level Annual Techno-cultural fest. The fest includes literary, technical as well as cultural events. The college was not as good as I expected but, Thier is not any college which can fulfill the fantasy of a 16 years old boy. Neither good nor bad.. it was a fair college to be associated with. "Decent college with decent atmosphere"
Because it was near to my house..Moreover it was a college affiliated to Panjab University. Just 12 km from my home it was a perfectly situated college with a decent atmosphere and surroundings. The canteen and cleanliness were up to the mark making it the simple choice.